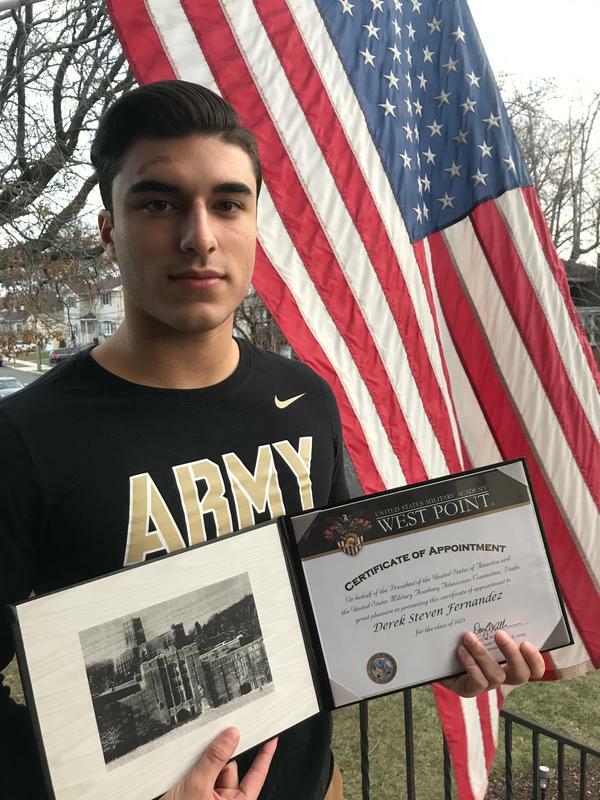 We, at Secaucus High School, are proud and honored to announce that senior Derek Fernandez received his certificate of appointment to the United States Military Academy at West Point. Derek Fernandez could only be described as a leader. 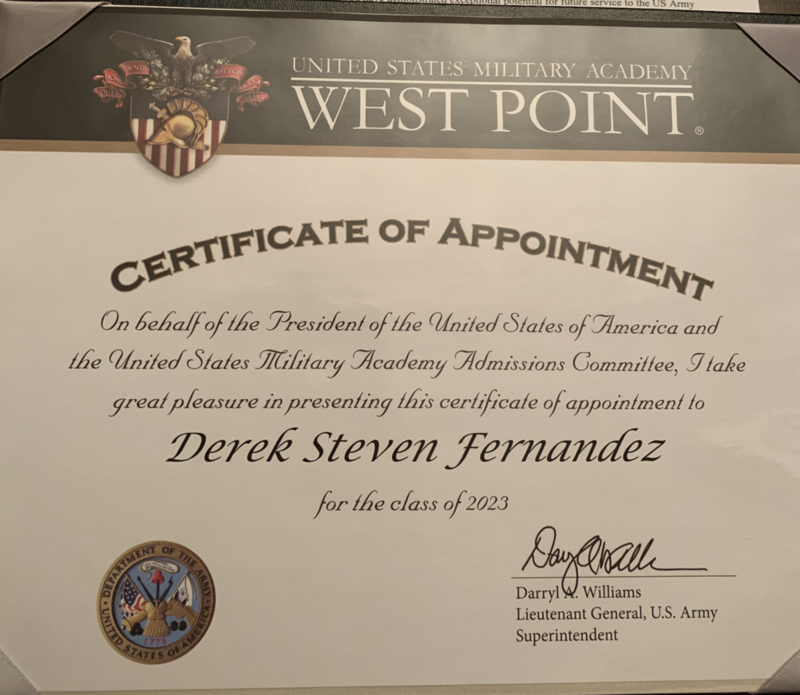 Despite a rigorous academic, co-curricular, and athletic schedule, Derek does not falter under pressure, and he carries himself with refreshing maturity. These qualities have allowed Derek to have been continuously elected by his peers as the Class of 2019 President since he was in seventh grade and as the Captain of the Varsity Football and Varsity Wrestling teams during his senior year. Through the extracurricular activities and community service organizations, such as the Abundant Grace Christian Church and the Bread of Life Ministry for the Homeless, Derek gives unselfishly his time in service of others and takes part in different clothing drives and food drives. While in high school, he has always offered friendship and compassion towards those who need it most, and teachers know they can rely on his respectful and giving nature to help them both in and out of the classroom. Throughout his high school career, Derek has received many athletic and academic awards and is one of the few students who is a member of all five National Honor Societies. 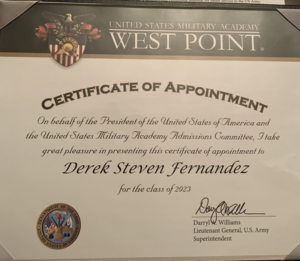 His positive outlook on life, leadership skills, undaunting dedication, and natural intelligence have allowed Derek to accomplish so much and have made all of us at Secaucus High School proud and we are confident that he will continue to soar to great heights at West Point.